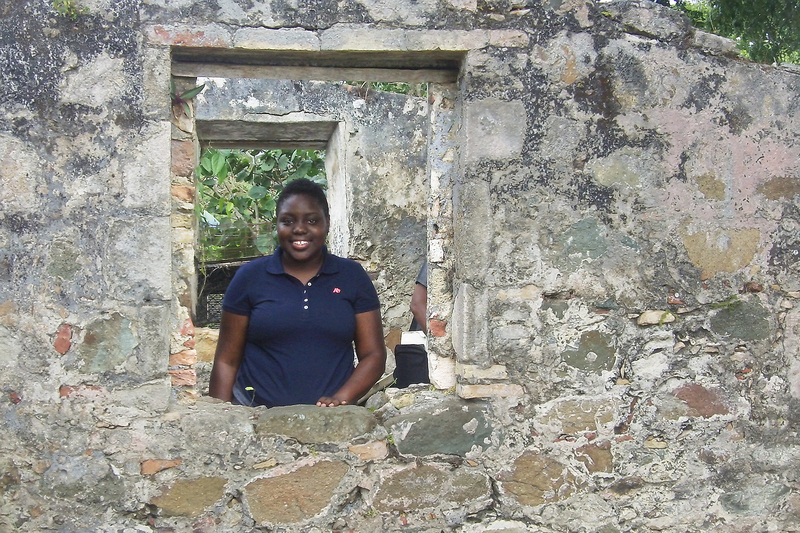 My name is Shermiga Emilcar and I am here on St. John, USVI working on an Ethnographic Project on the island. I am connected with this project in that although I am not an anthropologist yet, I am getting hands on experience by working on this project. By talking to the people on the island and the people who work with the National Park Service, I am able to get a sense of the relationship between the two. On the first day on the island, Ken took the group on the tour and one of the stops was Cinnamon Bay. 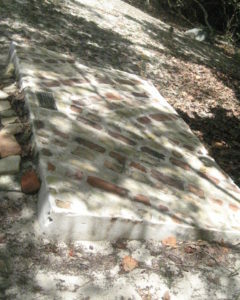 Washed up on the shores on Cinnamon Bay, here lies the remains of African people who were buried under their homes. When Ken showed us this sight, I couldn’t believe what I was looking at. Ken said that the remains of the African people washed up and local people and tourist alike brought them up to the Cinnamon Bay location. After collecting, the National Park Service decided to gather local leaders of difference churches in order to bless the ground and lay the remains at rest once more. I love that the park worked on including the local people with this project. I think that that was a way to make the park still feel like it’s not just in St. John but also a part of St. John. This is a tribute and I think leaving the remains in a place where they once lived instead of displaying them is a very noble thing. At the same place just a few paces away—was the beach at Sunset. It was the most beautiful thing I’ve ever seen in my life. We visited the beach late in the day and were lucky enough to see the sun sinking behind the ridge.